During our 2-week road trip to Iceland we tried to visit as many places as we could. One day of our trip was driving from Seljalandsfoss to Vík. During this day we were amazed by the powerful waterfalls, the rock formations, a lighthouse and a beautiful sunset at a black-sanded beach. All these hotspots are close to each other and next to the ring road. That’s why this day trip should definitely be included in your trip to Iceland! The route is easy, just follow route 1 from Seljalandfoss to Vík. We drove around 80 kilometers and viewed a few gems of Iceland. In this blog post we have listed the places you should visit when you are here! You can already spot Seljalandsfoss from the ring road. 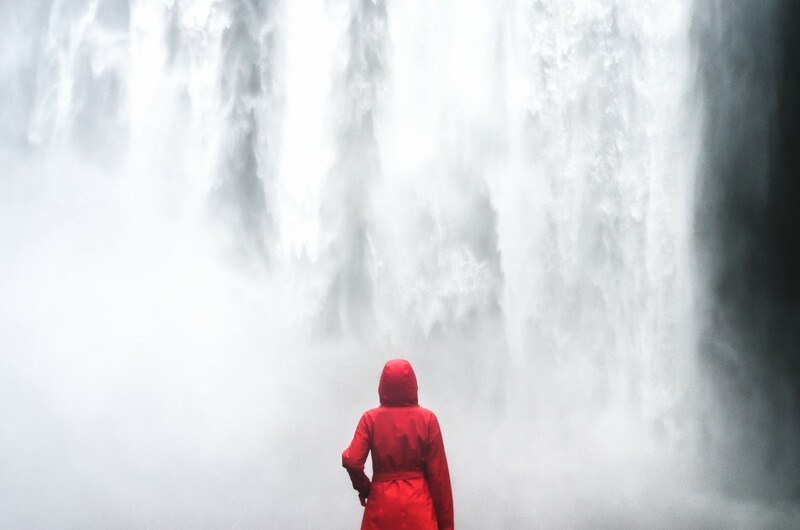 This waterfall is special because you can walk behind it. Make sure you bring dry clothes or a raincoat because you will get wet if you walk next to it. A general advise for waterfalls in Iceland is to use a waterproof case for your telephone if you take photos with it. 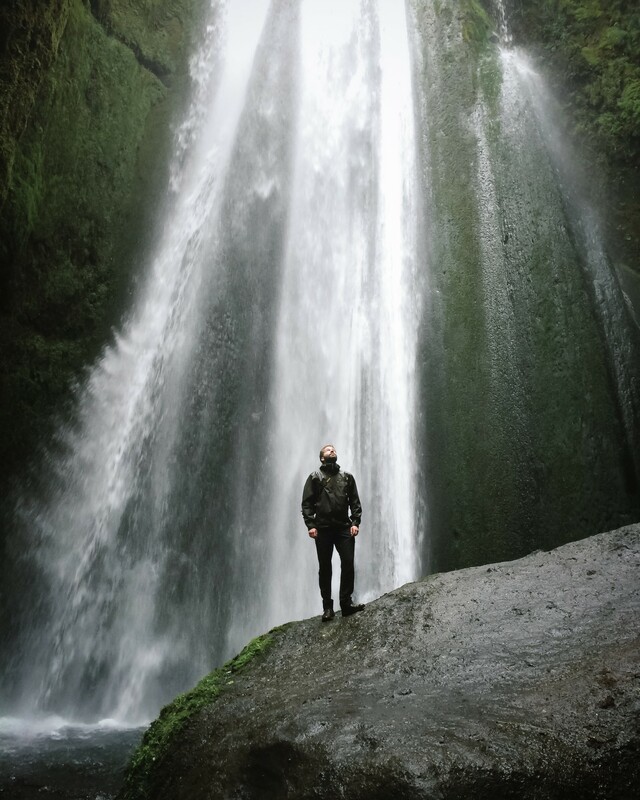 It is amazing to walk around the waterfall! If you are lucky you can spot a rainbow. 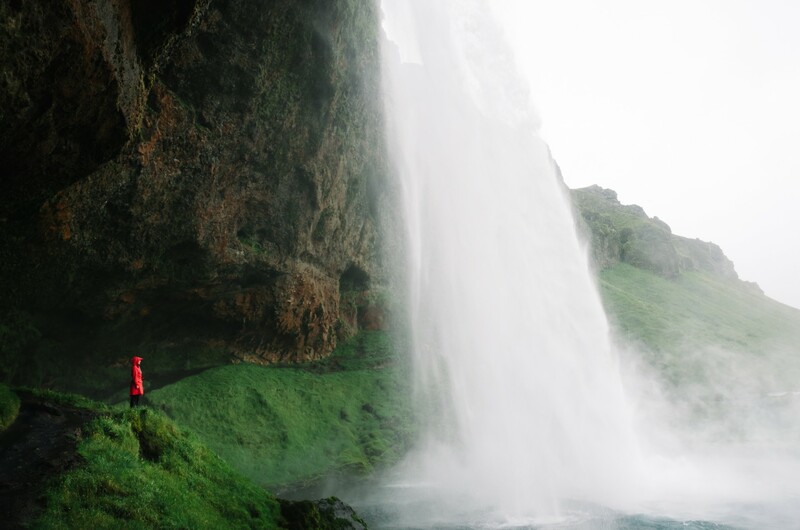 After you’ve finished admiring Seljalandfoss don’t forget to walk a few hundred meters further where you can find Gljúfurárbui. Gljúfurárbui is a waterfall hidden in a canyon. To enjoy the view you need to climb through a narrow opening in the cliff and cross a little river. The chances are high you’ll get wet feet but the view is worth it! 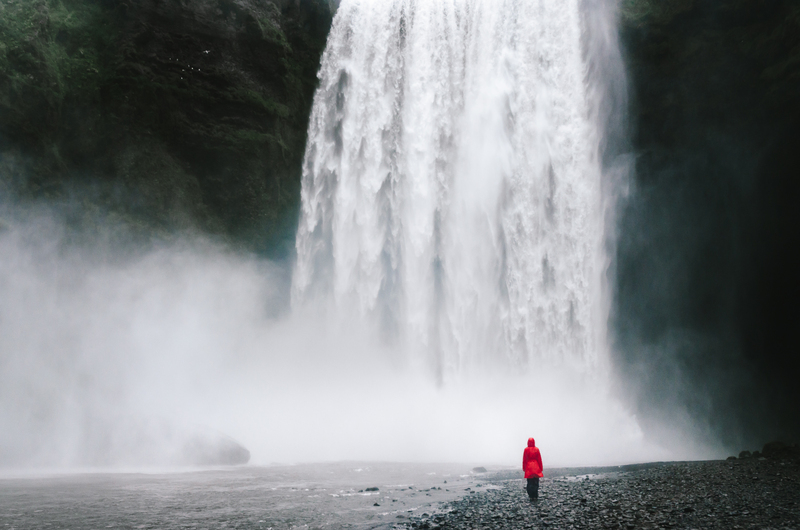 Skógafoss is a 62m high and 25meter wide waterfall. The waterfall is located at the cliffs of a former coastline. The sea is now at a distance of 5km. 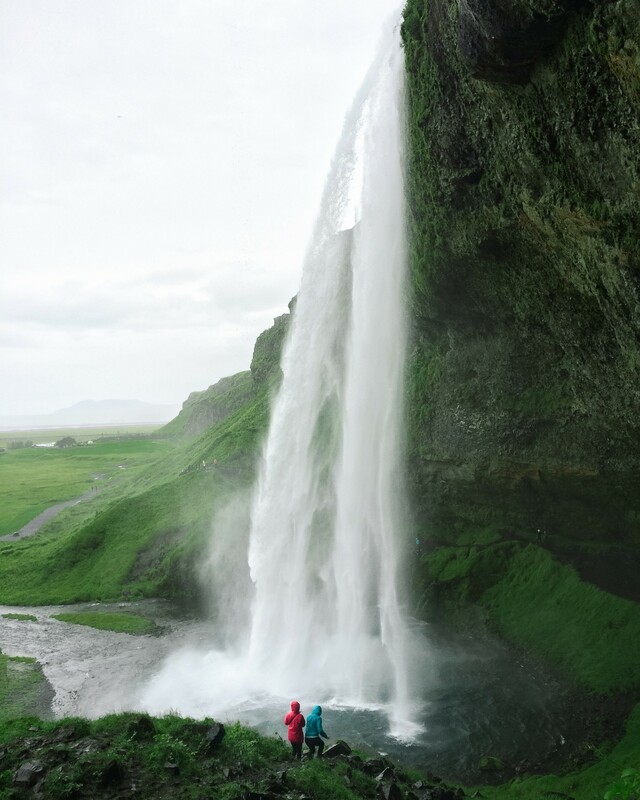 You can also recognize this waterfall from the cover of the Lonely Planet of Iceland or from the movie ‘The secret Life of Walter Mitty’. You can go near the waterfall, but realize you’ll get very wet! Next to that the power of the waterfall is strong and produces lots of wind. You can also climb up the staircase next the waterfall. Here you’ll have a view from the top and side of the waterfall. Skógafoss is a popular waterfall and attracs lots of tourists. Despite this it is definitely worth a visit! 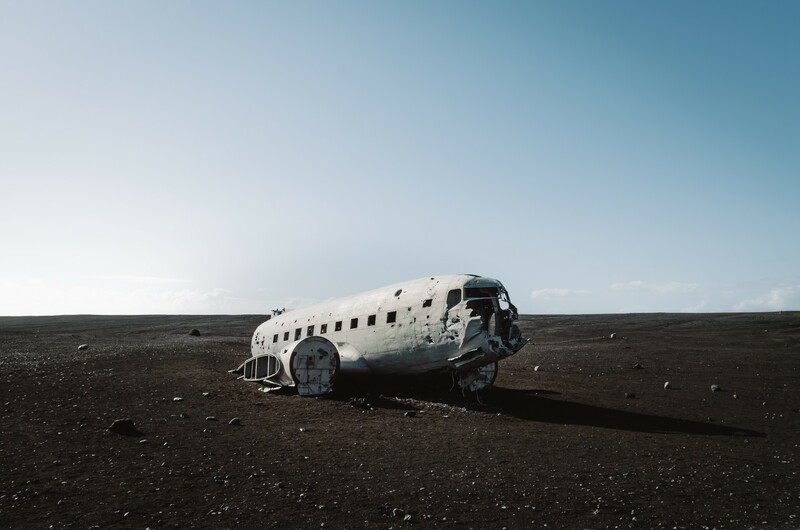 On November 21, 1973 a US airplace crashed at Sólheimasandur. Fortunately all crew members survived. The wreckage of the plane remains on the black-sand beach. It is quite mysterious to see a wreckage so isolated in the middle of a black colored beach. When we were here we could arrive at the airplane by car. Recently the road was closed for vehicles because tourists had been driving all over the place despite the marked path. Dyrhólaey is a rocky cliff at the south coast. From here you’ll have a view on a huge stone sea arch and the rock formations near Vík. At this place it is possible to spot some Puffins. 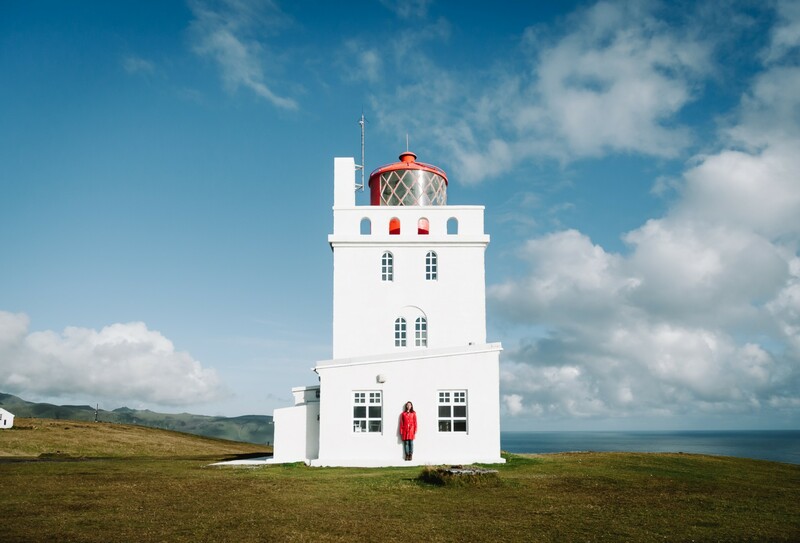 Next to amazing views of the coastline you’ll find a lovely lighthouse. Just as the waterfalls this is a place you cannot miss if you drive along the south coast! 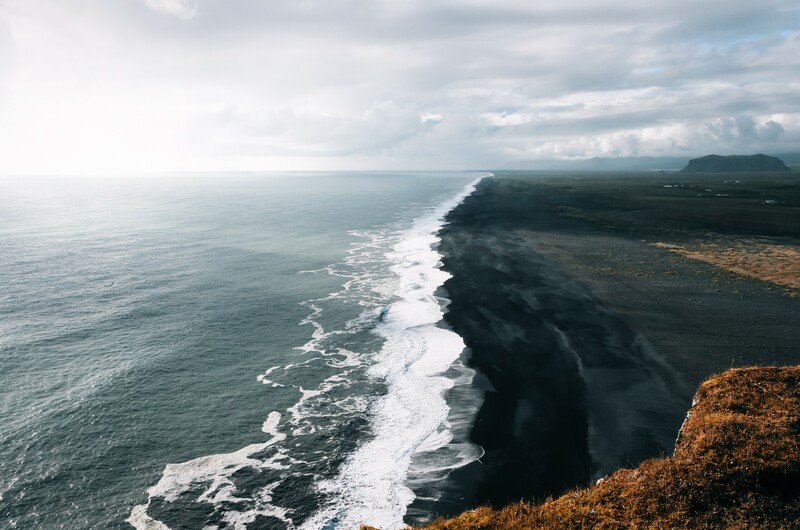 Reynisfjara beach is a beautiful black sand beach under the Reynisfjall mountain. 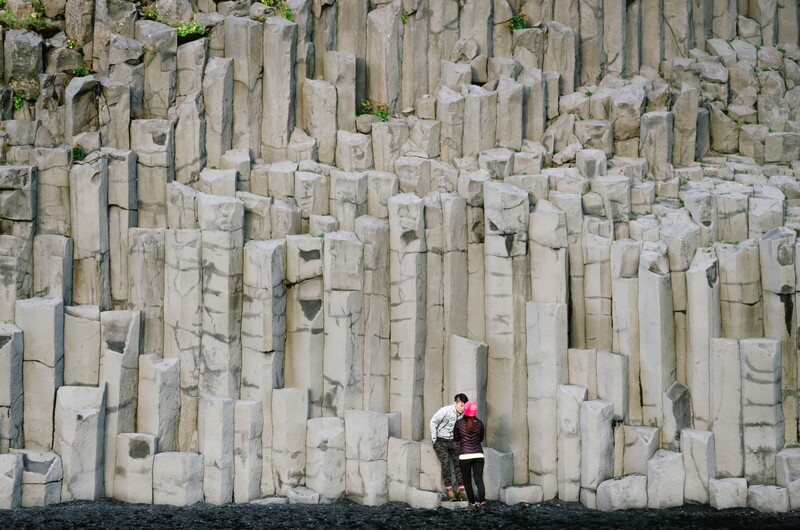 The Reynisfjall mountain has some amazing basalt columns. These basalt columns look a lot like church organs. 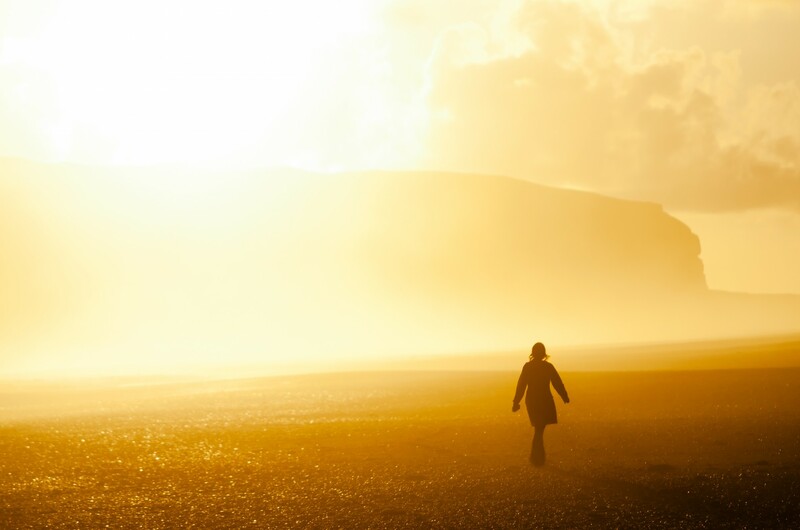 A walk along the beach during sunset is really amazing because of the light and the black color of the sand. However, be aware that the sea can be dangerous. The currents are strong and the water is cold. Iceland has put some hazard signs because of the dangerous behavior of tourists who walk close to the sea. Recently a tourist drowned here after he was swallowed by the sea. When we were here we also witnessed some tourists who were surprised by waves. Fortunately they were ok! So go and visit this amazing beach, but watch the hazard signs! If you want to see more of this beach you can watch the music video ‘Holocene’ of Bon Iver (at min 4.00) here. Vík is the most southern village in Iceland. It is a small village located on the main ring round around the island. It’s around 180km southeast of Reykjavík. Vík is a good place to stay the night after you have visited all the beautiful places we just described. It is also a good stop if you are planning to continue to see Jökulsarlon Glacier Lagoon and beyond. 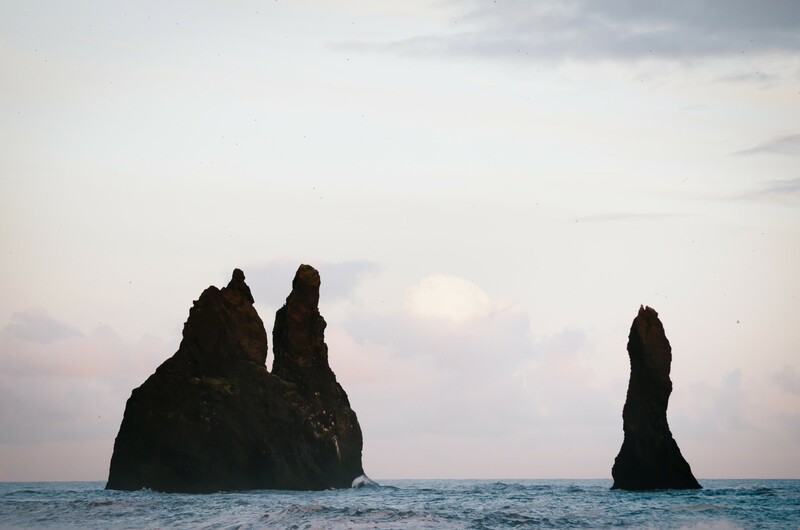 From Vík you’ll have a different view of Reynisdrangar, the rock formations. 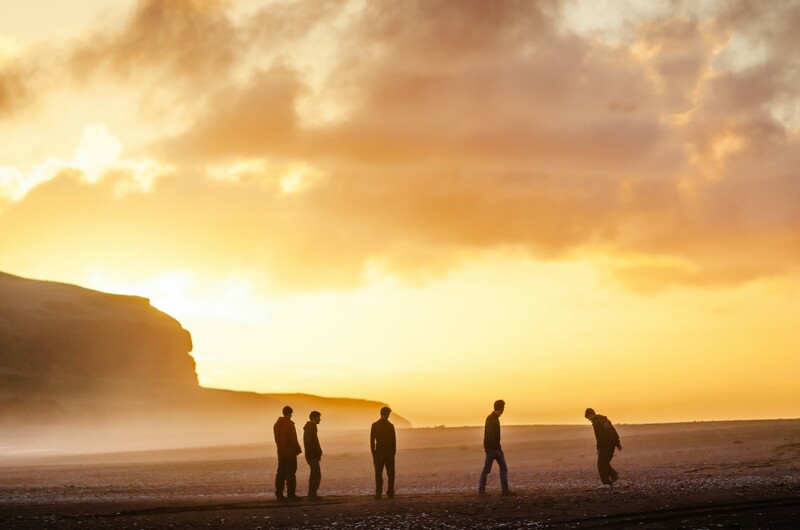 If you ran out of time the day before you can wake up early the next morning to see the sunrise at Vík, Reynisfjara or Dyrholaey. Let us know if you have been to one of these places and share your experiences and photos with us! Read more about our Iceland trip: Landmannalaugar, North Iceland, South Iceland and Jokulsarlon Glacier Lagoon.